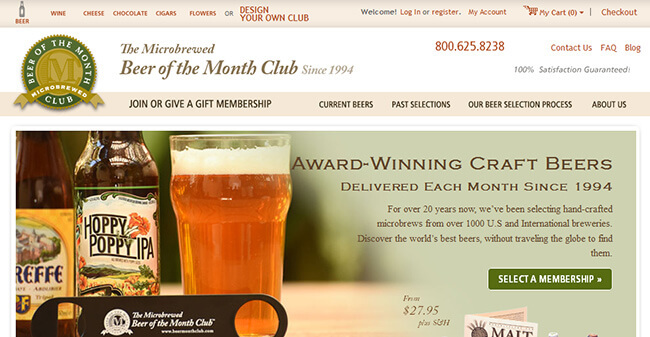 The Microbrewed Beer of the Month Club is a beer club with a long tradition. They have been around for some 20 years and during that time, they have established themselves as a serious, dedicated beer club with experts determined to bring you only the best, award-winning international and local craft beers. With five different clubs to choose from, they definitely make an excellent choice for any serious beer enthusiast interested in receiving premium, hard-to-find beer on a regular basis. Read this The Microbrewed Beer of the Month Club review to find out more about this club’s offer. As you can probably guess from the name, The Microbrewed Beer of the Month Club is only interested in craft beers coming from microbreweries all over America, as well as international breweries. Their focus is on quality, freshness, and variety. Judging from their selection, that is precisely what you will be getting. The club collaborates with a panel of beer experts that work together to come up with a carefully curated list of featured beers each month. Some of them are official brewmasters and beer judges and tasters, so you know you’re in good hands with them. They seem to be not only well-versed when it comes to craft beer but also highly enthusiastic and interested in finding hidden gems in a country that has the highest number of microbreweries per capita. It’s a tough task, but the passion for beer seems to make up for it. Depending on the club, you will be getting not just the beer but also a newsletter, detailed beer specs, suggestions for food pairings, brewery information, and more. The Microbrewed Beer of the Month has five different clubs for you to choose from. These include the U.S. Microbrewed Beer Club, the U.S. and International Variety Beer Club, the Hop-Heads Beer Club, the International Beer Club, and The Rare Beer Club. The U.S. Microbrewed Beer Club gets you 12 beers (four different styles, three 12 oz. bottles or cans each) from two different American microbreweries. The focus is on less-known breweries with lighter distribution in the nation, which is convenient since it allows you to discover beers and breweries that are perhaps not even present in your area. The U.S. and International Variety Beer Club, as its name suggests, focuses on variety. In addition to bringing you some excellent American craft brews, it also includes beer from well-known breweries from Europe and other parts of the world. Like in the previous plan, you get 12 beers (four styles, three 12 oz. bottles or cans each) of mixed domestic and imported beer from 3 or more lightly distributed craft breweries. The latest addition to The Microbrewed Beer of the Month Club is The Hop-Heads Beer Club, designed specifically for those who prefer IPAs and other beers more on the hoppy side of the spectrum, such as double IPAs, IPLs, Imperial IPLs, Session IPAs and IPLs, and more. You get 12 beers (three styles, four 12 oz. beers each) from at least two domestic and/or international breweries. The International Beer Club brings you, well, international beers. Ideal for exploring beers created all across the globe, this club features two different styles (six 12 oz. beers each) from two foreign breweries. And finally, there’s the Rare Beer Club. As you can gather from the name, this plan brings you only limited-edition, hard-to-find, and exclusive craft beers from the United States, as well as from renowned and award-winning foreign breweries, like De Molen, Mikkeller, and Fantôme. 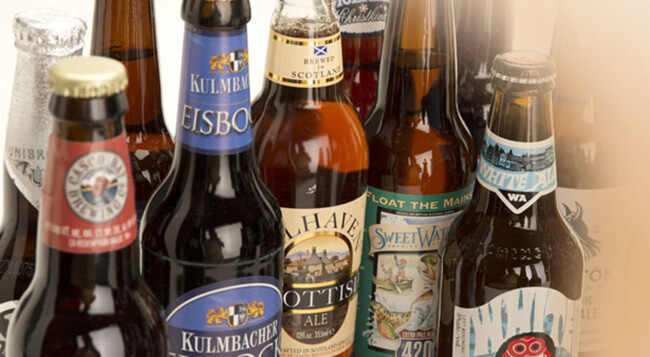 This club offers personalized shipments, which means you only get the beers you really want. Keep in mind, however, that you get only two different beers per month. These unique beers come in 750 ml bottles and range from Russian Imperial Stouts and Farmhouse Ales to Belgian Abbey Ales and Grand Crus. You can receive two, four or six bottles per month, that is, 1, 2 or 3 bottles of each of the two featured beers. First of all, this club brings you both American and imported beers. The accent is always on craft beer, but with The Microbrewed Beer of the Month Club, it’s not just any craft beer. It’s highly curated and well-researched beer, thanks to a panel of tasters that includes some highly esteemed beer connoisseurs. Their Rare Beer Club is really a special treat for any serious beer enthusiast and it is definitely not something you see a lot in the world of beer clubs. It shows great passion and dedication for beer and the customers seem to be responding very well to that. Furthermore, The Microbrewed Beer of the Month Club has an A+ rating from the BBB which, again, is not something we see a lot in this line of business. The fact they offer a 100% satisfaction guarantee may have something to do with that, combined with the overall quality and excellent selection of beers. They also do a great job at educating their customers about different beer styles, brewing processes, food and beer pairings, and so on. They even offer their customers a chance to combine club memberships (they also offer cigars, chocolate, cheese, flowers, and wine) and completely personalize their deliveries. The Microbrewed Beer of the Month Club is very transparent about their selection process. 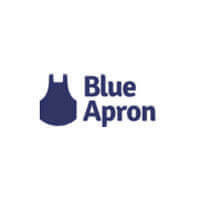 This is good not only because you can see for yourself just how seriously they take their business but also because you get to learn a lot by reading about the process. In addition, the list of current beers on offer is always available on their website, as well as a list of past selections. If you want to surprise a loved one or a business partner with a Microbrewed Beer of the Month Club subscription, you can do it just as easily as getting a subscription for yourself. Pick a club (a plan), choose how often you want it sent over (monthly, bi-monthly or quarterly), and set the starting date for the shipments. Once you proceed to checkout, you can set a gift announcement to be sent on the same day or on a different date, which is definitely convenient. As we mentioned earlier in this The Microbrewed Beer of the Month Club review, you can combine different clubs and send gifts that include beer and something else from their selection – cheese, chocolate, flowers, wine or cigars. The club website also offers gift ideas in case you are not sure what kind of plan you should get for your friend, family member or coworker. The minimum number of shipments is two, which is basically what makes this kind of gift different from a simple beer basket, which is a one-time thing. With this beer club, the cheapest plan is the U.S. Microbrewed Beer Club. This subscription costs $27.95. The amount increases proportionally with the number of shipments you pick upon checkout – more shipments do not mean cheaper subscription and the same goes for the frequency of subscriptions (how often you want to receive them). The U.S. and International Variety Beer Club costs $34.95 per month while the Hop-Heads Beer Club costs $33.95 per month. The International Beer Club costs $37.95 per month and the Rare Beer Club is $37.95 for two bottles per month, $55.95 for four bottles, and $72.95 for six bottles per month. The Microbrewed Beer of the Month Club ships anywhere in the US except for Alabama, Mississippi, Kentucky, Alaska, Hawaii, and Utah. Unfortunately, unlike some other beer clubs, The Microbrewed Beer of the Month Club does charge for shipping and handling. The S&H cost is $15 for all plans, except for the Rare Beer Club, where it ranges from $14 to $19. There are no membership fees. You only pay for the beers you enjoy, plus shipping and handling. You can choose from 2 payment options. You can pay in a single installment or pay per shipment. The Microbrewed Beer of the Month Club customer care hours are limited to working hours only, meaning from 7 am to 5 pm PST, Monday to Friday. 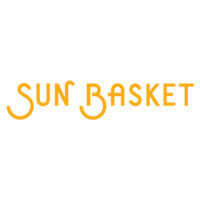 There is a contact form on the website you can use for all your inquiries. The response times are quite decent. As of recently, there is also a live chat option you can use, also on the company website. To make sure The Microbrewed Beer Of The Month Club meets all your standards and expectations, it is important to know its biggest advantages and disadvantages. With a short overview of its pros and cons, you can easily decide if The Microbrewed Beer Of The Month Club is the right company for you. The Microbrewed Beer of the Month Club is definitely a beer club for true connoisseurs. If you are looking for a club with a long track record and highly curated selections of premium craft beers not only from the United States but from all over the world, you should definitely consider this beer club. The prices are competitive and the service is excellent. There is still room for improvement, though, just like with everything else in life, but this is a very good beer club that will certainly surprise you with some true hoppy gems. Our ratings are the result of an objective and independent evaluation of The Microbrewed Beer Of The Month Club, generating the final rating that reflects the overall quality of the company. Ratings may change as the service changes. The Microbrewed Beer Of The Month Club customer rating based on 4 customer reviews. I’m quite pleased with the Microbrewed Beer of the Month. They give you just that – a great beer of the month and you can tell they really put some effort into their selection of beer. Great job overall. I’m not too impressed with their customer service. I called in several times about a shipment that failed to appear at my doorstep and they claimed they tried three times which is not true since I make sure to be home or have someone at home that day. I wasn’t a fan of the whole craft beer thing before I got hooked on by a friend. I live in a town that doesn’t have much of a selection so this subscription really means a lot. We found 0 verified The Microbrewed Beer Of The Month Club discounts for April, 2019.